As spring is on it's way (though here in England it doesn't feel like it at all!) 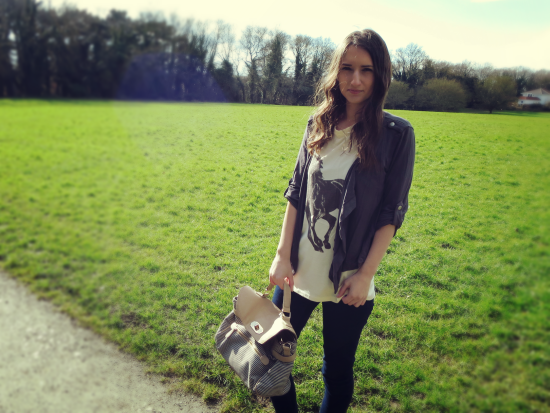 I thought that I would do an outfit post as I haven't done one in absolutely ages. I've styled two different looks that I think would take anybody from winter into spring, read on to check them out! I styled this horse print t-shirt with some navy jeans, plain brown boots. I added a striped bag and a casual draped cardigan. This t-shirt is great as its long so you could wear it with leggings or sportswear too. 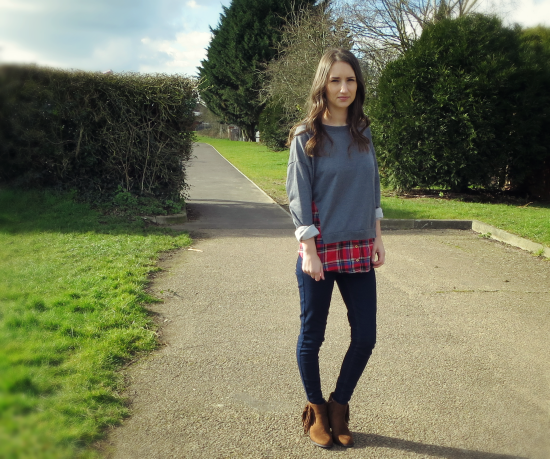 I really love this jumper as it has all the styling done for you! I love a bit of tartan and thought that the colours would go really well with some dark blue jeans and these tan fringed boots! Do you have any spring outfit ideas? P.S. You might have noticed that I'm wearing a couple of pieces from New Chic. You can get 20% off everything on the site at the moment with code "20off1574" - happy shopping! I love both outfits Rosanna! The first tee is uber cool and I like everything plaid! Have an amazing weekend Miss! The jumper with the tartan peeking out is my favorite. 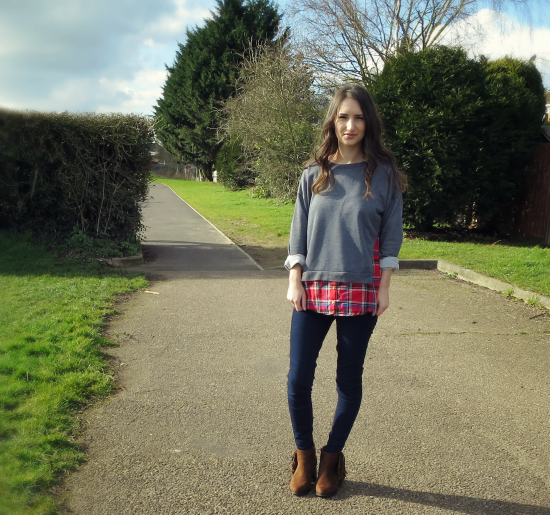 Love the way you have styled outfit number 2, such a simple yet go-to spring/autumn outfit! Absolutely love outfit 2! Thought it was two different items, looks so good and as if you've styled it but must be so easy to just throw on! I will follow you on twitter, hopw you will also follow back. I love both Rosanna, the plaid shirt in the secon one is very cool!!! Both outfits are very lovely! Love both of the looks, you ladies are gorgeous! Thanks for sharing your ideas with us and I hope you have the best weekend ahead! I love these spring outfit ideas! Beautiful styling! Both outfits are beautiful. Kisses! Both looks are so cute! Love the layers in the first one. Amazing bag! I love both looks, the plaid shirt is so rock! Number one is absolutely my favorite. Great looks, I love the second one! You look fabulous in both outfits & my fav one is the second one! both outfits are fantastic my dear...my fav thing about the first one is that horse print jumper...and I just love how you layered the second one. Love both of the looks you show here! Total my taste as I love such casual but cool looks! 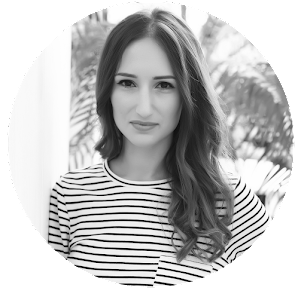 Hey girls, great post! Love it! Lovin both of your looks! You look fab hun, love both of these but especially the first, so pretty! Love the outfits, you have combined it amazingly!